Post yesterday’s crazy snow storm, I was out exploring today and walked south from Central Park down Fifth Avenue and around the front of the Plaza Hotel, just because. 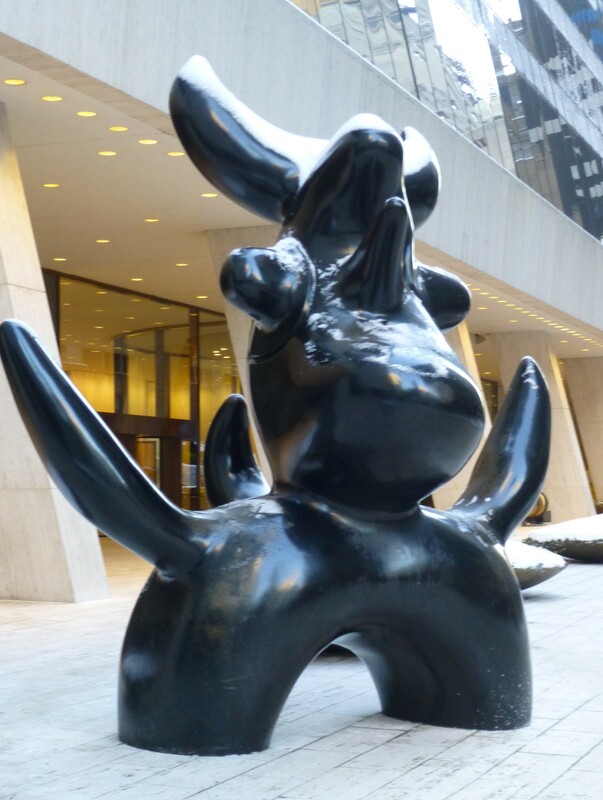 Right across from the Plaza’s posh entrance, on West 58th Street, there sits this mythic Bull Statue by the great Pablo Picasso, which was added in 2000 to what is actually the north facade of The Solow Building, also referred to as 9 West 57th Street. I like that there is still some snow on the Bull’s horns. Update: I’m adding a photo taken on February 19th, 2017, which gives you some perspective of exactly where this Bull is located! ← Food Fête Winter 2015: The Ultimate Recap! That is not a bull and not by Picasso. 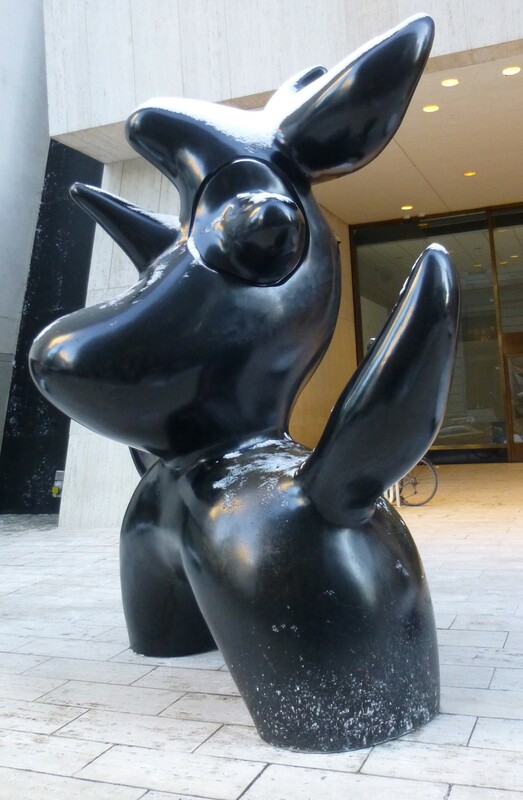 It’s by Miró and it’s one of the casts of the Moonbird. it’s not the only one. 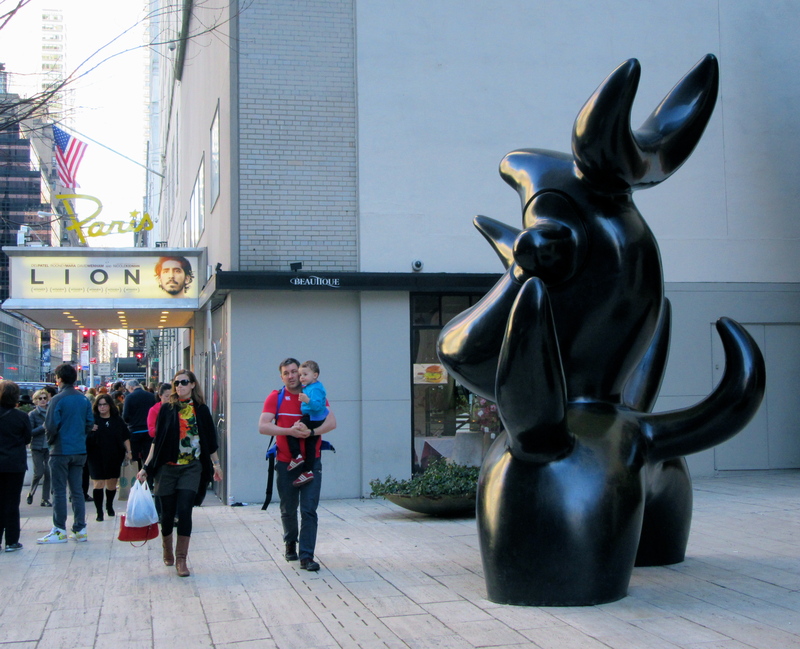 Google “miro moonbird” and you’ll see that there are a lot of these huge bronze birds in many locales. I can see why you think it is Picasso, obviously. But I don’t see why you think it is a bull. It has a very song-bird-like stance and exuberance. The horns are just a crest, sideways I guess. But I see that no bird has a TAIL like that. That IS misleading.